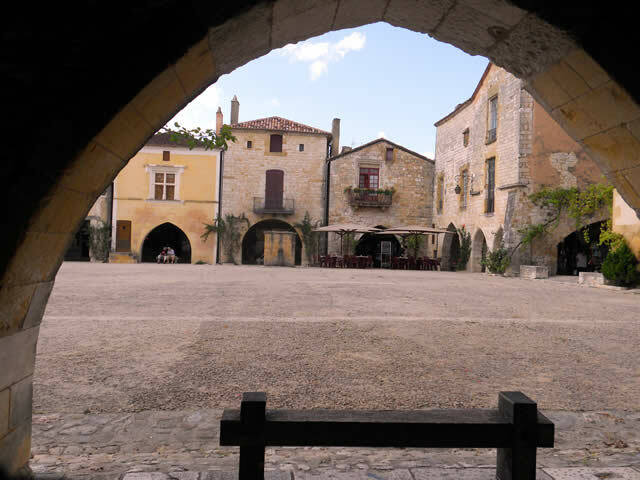 Voted “the most favourite village in France 2016” it is also a UNESCO World Heritage Site. 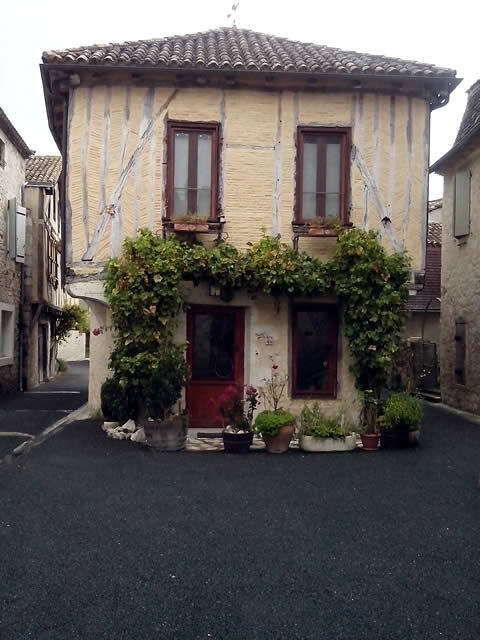 Built dramatically into an overhanging cliff high above the gorge of the Alzou in the Lot Department. 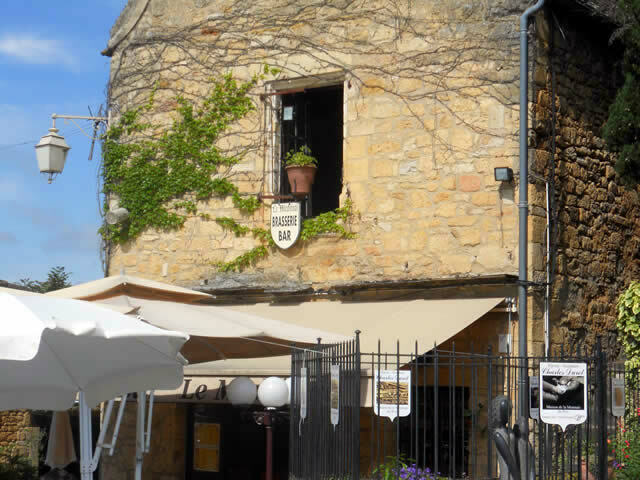 It owes its fame and fortune to the late 11th Century cult of the Black Madonna, whose shrine was promoted by the Benedictines at Tulle and who built an hospital next to Rocamadour for the passing pilgrims. In 1166 a man’s body was found near to the alter. This the Benedictines announced was St Zaccheous, who was the publican who climbed the tree to see Jesus. After the crucifixion he fled with his wife and settled in Limoges. When his wife died he went to live as an hermit and built the first sanctuary in the cliff face. The local people called him”the lover”, or Amator for his devotion, hence Roc-Amadour, the rock of the lover or lover of rock. 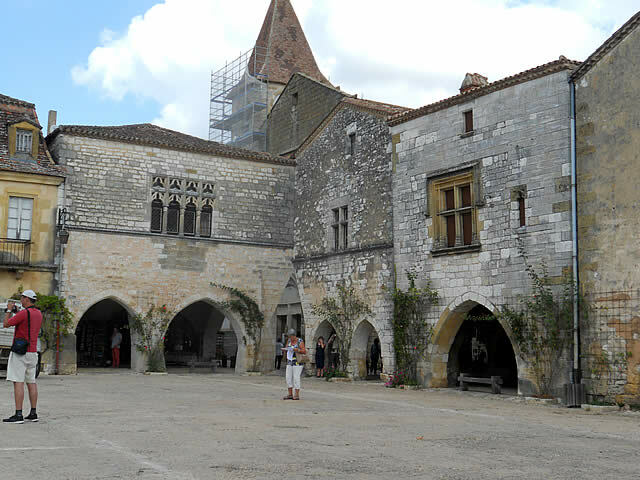 The pilgrim road enters Rocamadour by way of the 13thC Porte du Figuier, which is one of four gates that defended the villages. Once through the gate you walk past the various shops and souvenir stands. Selling everything from postcards, ornaments, gorgeous linen tablecloths to ice cream and cakes. To get to the Basilique St-Sauveur you will need to climb the 223 steps or use the lift. In the days of pardon, pilgrims and criminals would climb the steps on their knees in order to be forgiven for their sins. They were bound in chains and led to the Black Madonna where they would pray and then the priest would strike of the chains and give them a lead metal with a picture of the Black Madonna to take back to their village as proof of absolution. 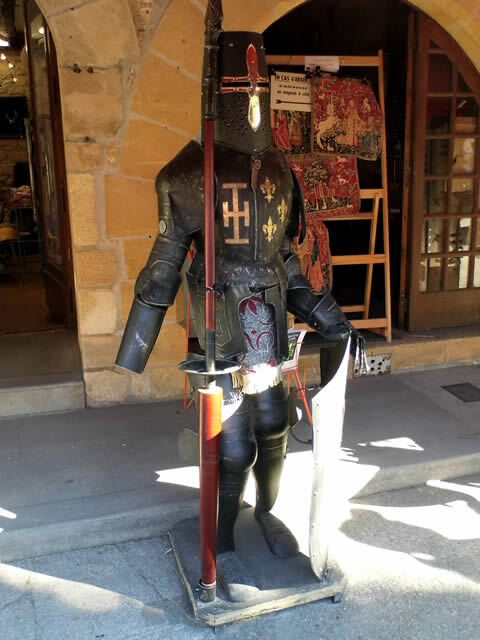 Another attraction is the Durandal, the famous sword of Roland; the legendary paladin of Charlemagne. Just before he died at Roncesvalles, Roland confined his blade to St Michael. The Archangel hurled the sword from the Pyrenees straight into Rocamadour’s cliff where the sword sits high above supported by a chain. A close up of one of the towers. 23rd and 24th September is the Annual two day hot air balloon festival with participants from all over Europe. 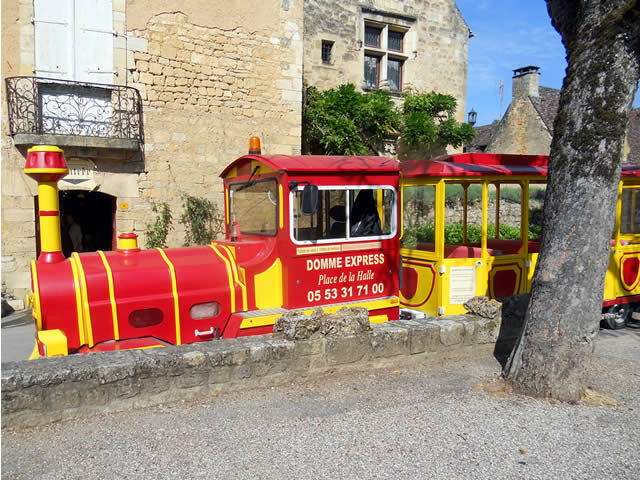 These two “express” trains offer tourists a guided tour around Domme. 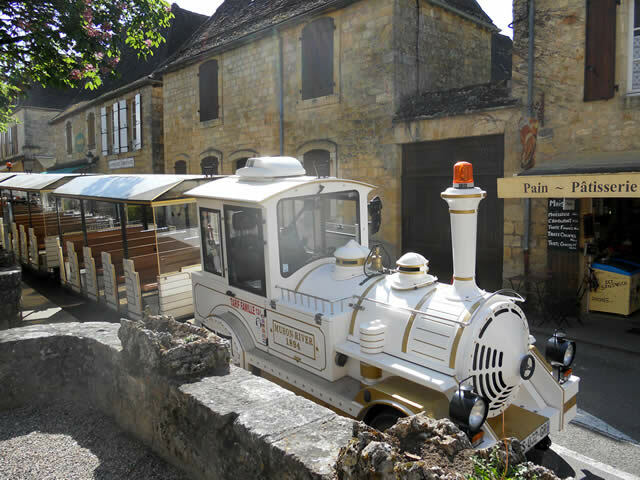 The tour lasts about twenty minutes with visits to Porte des Tours (templar prison) and Panorama Maison du Gouverneur or the entrance to the caves of Porte Delbos, and of course the ramparts at Porte de la Combe. The trains stop in the large car park below the Porte des Tours. 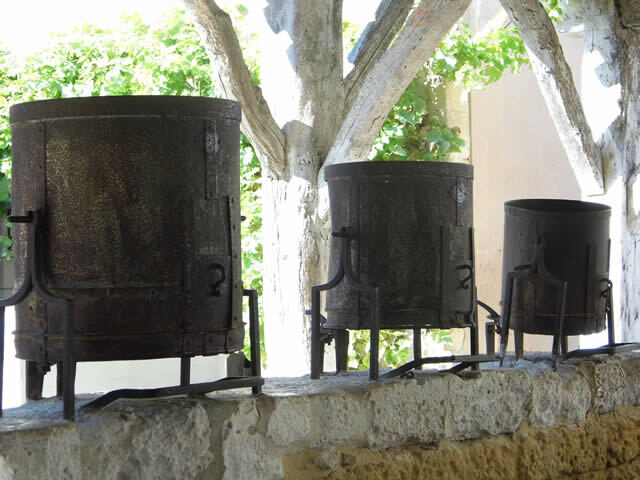 It’s well worth hopping on there to save the steep climb up to the town. This is one of the hidden gems, it was only after several visits to Domme that I spotted it and just had to take a picture. If you look closely it seems that the large plant pot is precariously balancing right on the edge of the metal sign above the café next to the car park in Domme centre. 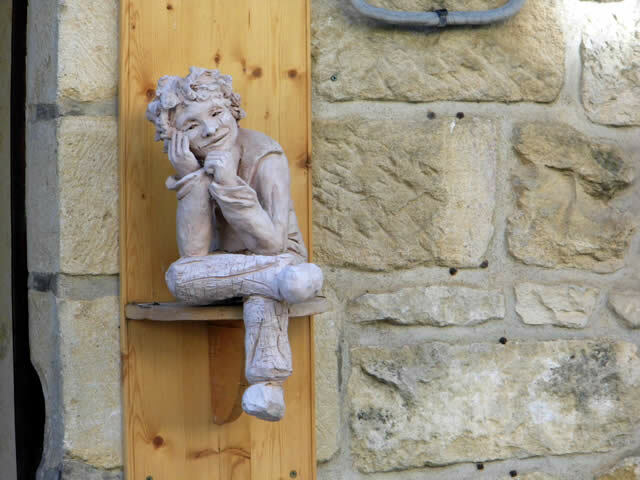 If you have the time take a walk off the main street to wander the charming side roads you will find this gem of a planter. 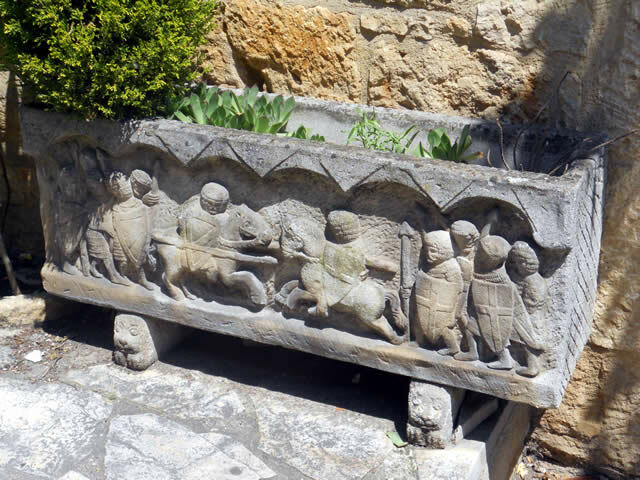 The knight’s templar fighting in the holly war. Issigeac is a medieval town which was built mainly in the 13th to 16th century; it is situated on the edge of the Dordogne near the bordering department of the Lot et Garonne. 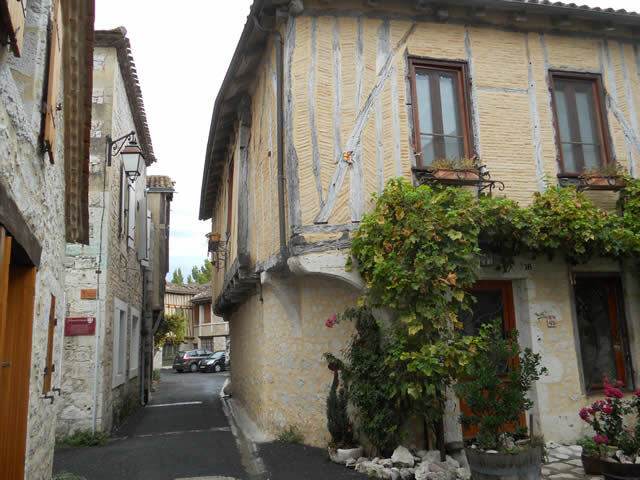 Unlike many bastide towns, the narrow roads snake around the town in ever decreasing circles until you reach the centre, with beautiful medieval houses sit side by side with more unusual timber frames of the 14th and 15th C. Be prepared for a stiff neck since you are constantly peering upwards at the architecture. 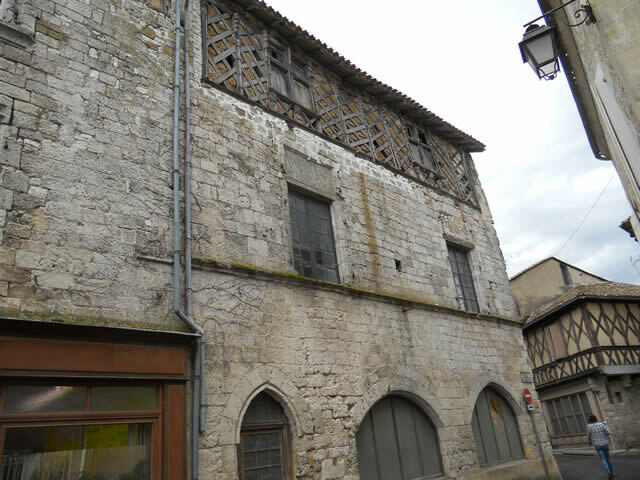 Many of the buildings have carved features for example the “Maison des Tetes” on the corner of the Grand Rue, with its carved heads on its upper level. 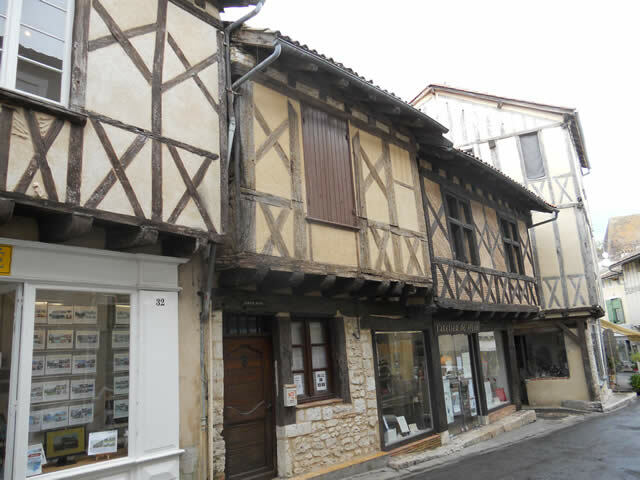 Like Sarlat, you are certainly transported back in time, I had the feeling that a Musketeer would step out from one of the buildings, well I live in hope! Just waiting for a Musketeer to ride down the narrow alleyway. 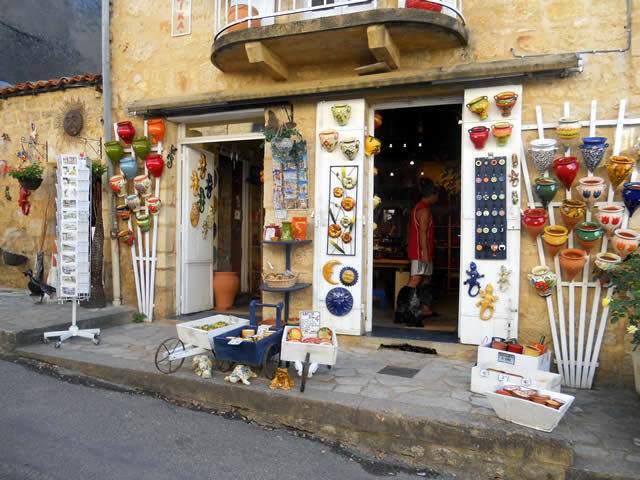 We reached Issigeac at lunch time so the shops were closed, therefore fairly quiet and a great way to properly see the many features. We shall certainly return again. I am thinking about a Sunday when they have an excellent market. 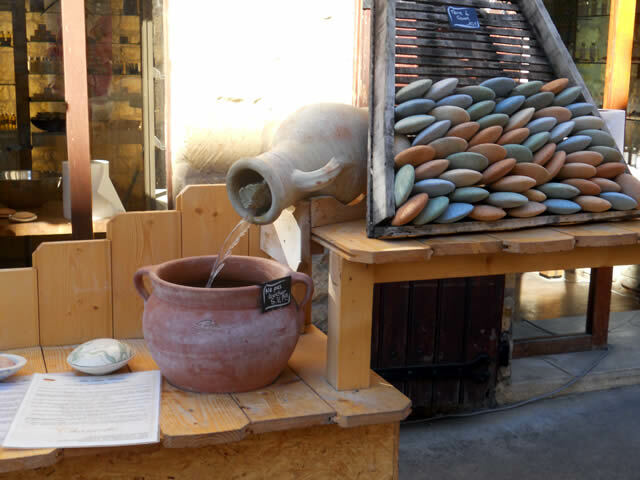 The small shops sell artisan pots, linen, soap and of course wine and chocolates. 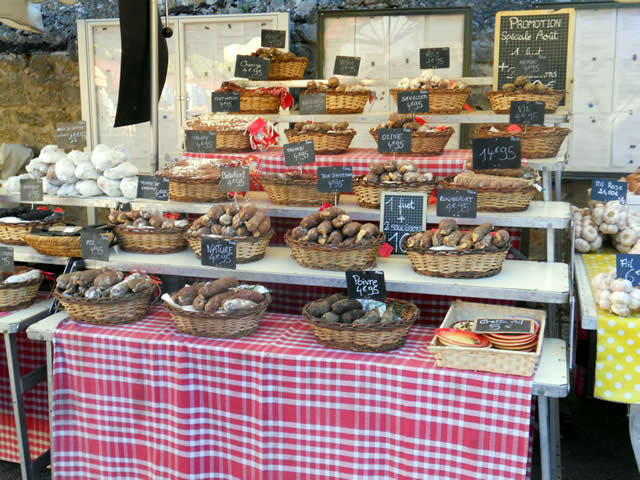 Market day is Sunday – The third weekend in July is the basket market where vendors and artisans come from all over France to demonstrate their craft at the Foire aux Panniers (basket fair). This one has the wow factor. 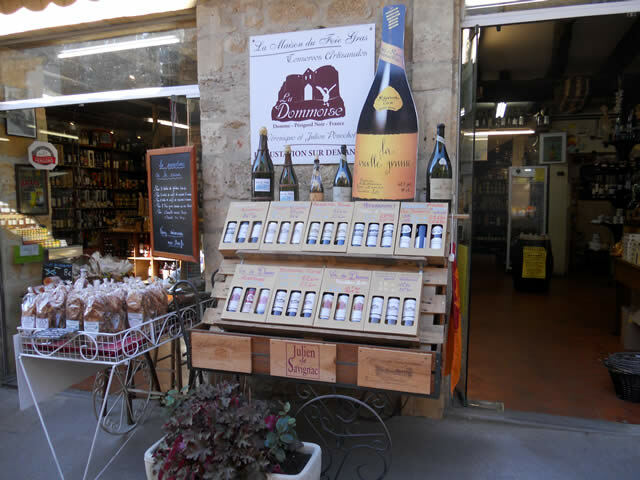 Also, in July and August are the annual bodegas which are held all over the Perigord, (Issigeac is one of the largest). Bodegas are street parties organised by the local rugby club as a fund raiser. 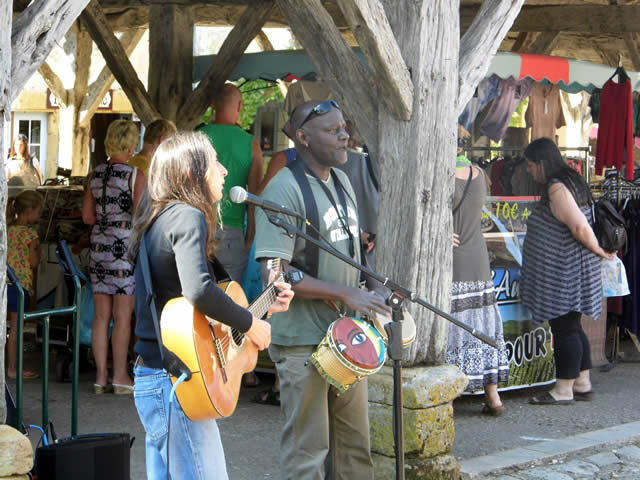 Bands play into the small hours while you eat and drink the local produce.